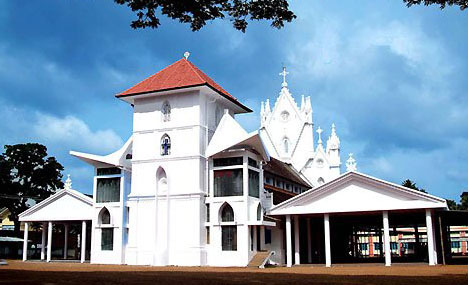 The Marthamariam cathedral (St. Mary's Cathedral) at Manarcad is internationally famous. 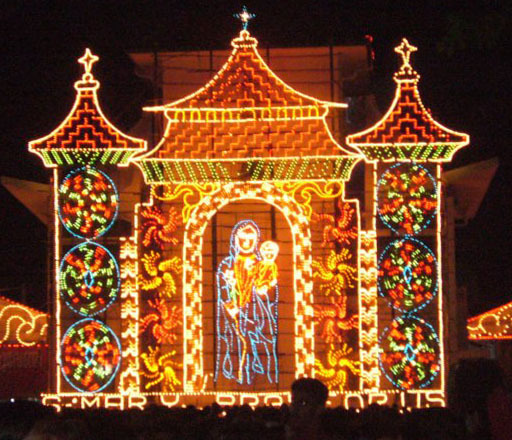 The ancient practice of 8 day fast and the Feast of Virgin Mary's Birth are celebrated between September 1st and 8th of every year at the cathedral. Because of the unseen presence and blessings of Virgin Mary, the Manarcad cathedral, the 8 day Fast and other observances have withstood the passage of time and attained international reputation. During the fast days, hundreds of thousands of people from the far corners of the world reach Manarcad to seek the blessings of Virgin Mary. Around this time all roads lead to Manarcad cathedral which is located just 9km. east of the town of Kottayam. 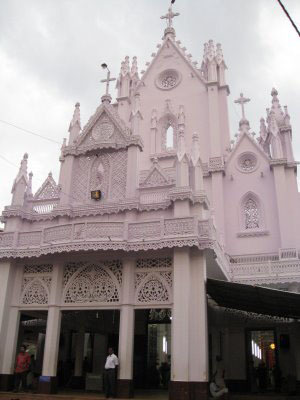 Manarcad cathedral is the most important church among the ancient churches of Malankara. The stone inscriptions found at the church reveal that the church was built more than a 1000 years ago.